The Organic Cotton Thai Yoga Travel Mat is one of the nicest futon style yoga mats you’ll ever see and is great for restorative yoga. 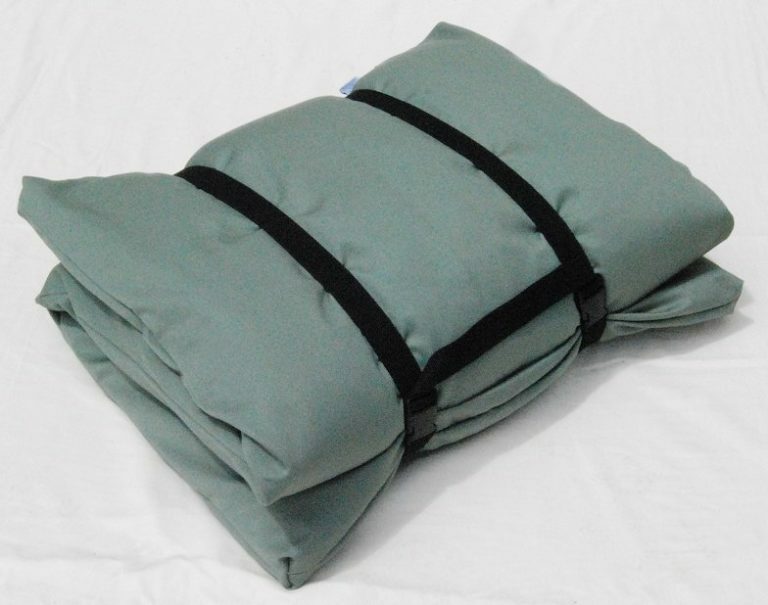 It’s made from organic cotton, a full 3 feet wide, and is extremely light weight, soft and comfortable. A full 3 feet wide! We call this our Back Pack or Bookshelf Thai Yoga Mat. That’s because when not in use we can fold it and easily store it in a bag or on a bookshelf in our office! The Cotton Thai Yoga/ Thai Massage Travel Yoga Mat is one of the nicest futon style yoga mats you’ll ever see and is great for restorative yoga. 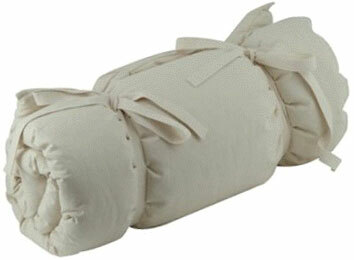 It’s made from organic cotton, a full 3 feet wide, and is extremely soft and comfortable. The mat has a removable cover that is also made from 100% organic cotton. It’s filled with a generous 3” of plush batting that is 80% organic and 20% chemical free cotton (this blend is used to create a smoother internal batting lining). The mat also has attached ties for easy roll-up and storage, plus comes with its own carrying strap. 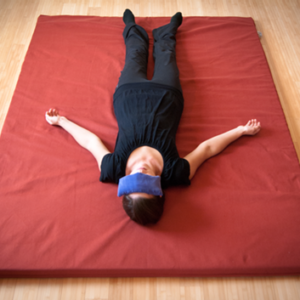 Because it is so portable, this yoga mat also makes a great sleeping mat to take with you on retreat. Overall size is 70” long by 36” wide by 3” thick. Important! After you order, contact us to choose color and to arrange payment for freight (Avg. $25.00 to $35.00 depending on local delivery options) at juliejamesonac@gmail.com, Shipping and freight options are additional and not included in price. We cannot complete your order without a shipping estimate!